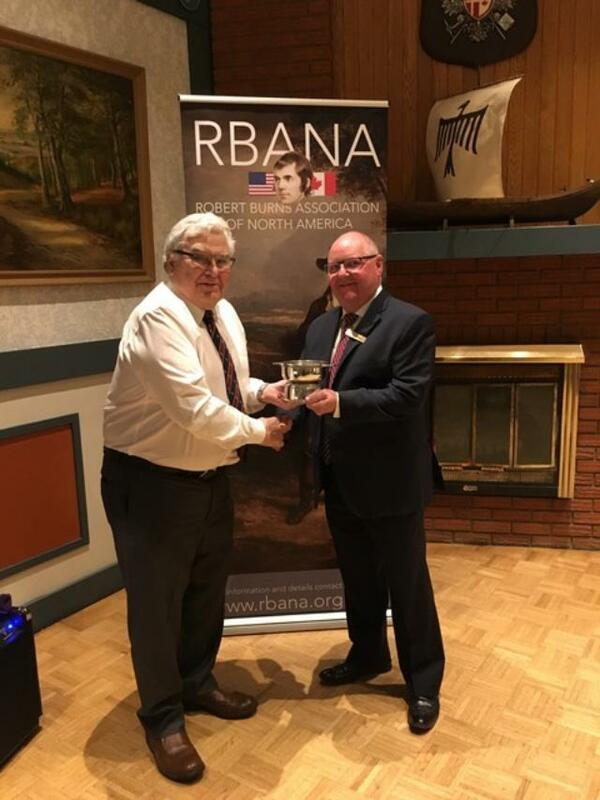 RBANA Director Tony Grace presents Jim Hutchens with the Jack Hume Heather & Thistle Trophy for 2018 for his winning poem “A Poet’s Thoughts on Emigration”. The presentation was made at the recent Calgary Burns Club AGM at which Jim Hutchens became club president for the second time. This was also the first time the new RBANA Banner was used.